You might think that all pillows come in one size only, but they are actually available in many different sizes. Choose the appropriate size for the bed you are fitting or the purpose for which you will be using the pillow. Once you decide on the size of the pillows you need, you will be able to find the pillowcases that will fit it. Standard pillows are 20-by-26 inches and are the most common pillows sold. If you prefer standard pillows, you should use one on a twin bed, two on a full bed or a queen bed and three on a king-size bed. 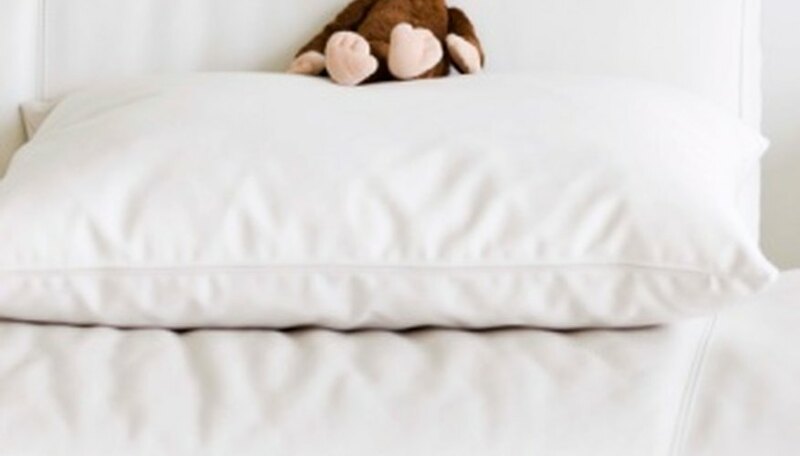 Standard-size pillowcases are widely available and are typically what come in a packaged sheet set. Queen pillows are 20-by-30 inches. The number of pillows to use with each bed is the same with queen-size pillows as with standard pillows. Manufacturers do not make specific pillowcases to fit the queen-size pillows. Simply use a standard pillowcase. The queen pillow will fit easily inside, simply filling the pillowcase more. Pillows that are made for a king-size bed are 20-by-36 inches. These pillows are designed for two pillows to fit perfectly across a king-size bed. They fit both an Eastern and a California king bed. These pillows will not fit inside a standard pillowcase, so you will need to purchase king-size pillowcases. Euro pillows are 26-by-26 inch square pillows. While these pillows might not be the best for sleeping, they do work well to prop a person up in bed. They also are often used on beds of all sizes as a decorative element. While you can find simple Euro pillowcases, you can also place the pillows inside Euro-size shams and place them in front of your sleeping pillows. Travel pillowcases are 12-by-16 inches and are made specifically for traveling. These pillows are a good choice for a car ride or a plane trip when you might want to nap while en route. The smaller pillows take up less space than a traditional bed pillow and can easily fit inside a bag. Use a travel-size pillowcase with this pillow. What Is the Difference in Cello Bow Sizes? How Big Is a Movie Screen?